Paralegals and Lawyers both play a hugely important job in the American legal system, but if you are considering a career as one or the other, the difference between their roles and responsibilities can be a little difficult to understand. So, if you are trying to choose between training as a lawyer and training as a paralegal, here are some of the key differences. There is a fair amount of overlap between the duties performed by lawyers and paralegals. Both are expected to do significant amounts of research and prepare the legal documents for the case they are working on. The main difference between a paralegal and a lawyer is their duties in the courtroom. A paralegal is primarily concerned with case preparation, including ascertaining the facts of a case, writing reports, filing and organizing important paperwork, and scheduling times for interviews and depositions. A lawyer has a more front-and-center role to play in the courtroom and is the person who will be addressing the judge and jury, in addition to questioning the witnesses. Both play an important role in successfully pursuing the case they have been given, but the lawyer arguably has the more high-profile position. One of the major differences between a lawyer and a paralegal is the amount of education and training that it takes to achieve their respective positions. To become a fully qualified lawyer, you’ll need to spend around seven years in education, that’s four years for an undergraduate degree and another three years of law school. Once they passed the LSAT and been admitted to law school there are still more hurdles for a lawyer to jump. In order to practice in their chosen state, a lawyer need to pass the bar exam. By comparison, all a paralegal need to start working is an associates degree, which typically takes around two years to complete. According to the Bureau of Labor Statistics (BLS), the average annual salary for a lawyer is around $119,250. By comparison, a paralegal earns around $50,410 a year. While lawyers earn nearly double what a paralegal does, there are some benefits to choosing to train as a paralegal. The Bureau of Labor Statistics expects the job market for lawyers to grow by just 8% over the next decade, which is around the average rate for most professions. Compared to that, the BLS expects the demand for trained paralegals to increase by 15% in that same time frame, almost double the national average for job growth. By comparison to lawyers, there is significant job growth in the paralegal field. This is partly caused by large law firms and corporations looking to lower their legal expenses by taking on paralegals to do the jobs that would traditionally have been passed to entry-level lawyers. This transition has had a significant impact on the job prospects and earning potential of paralegals, as their increased importance in the legal sector has resulted in more job opportunities and an increase in expected salary. These factors have combined to make now the best time to train as a paralegal. 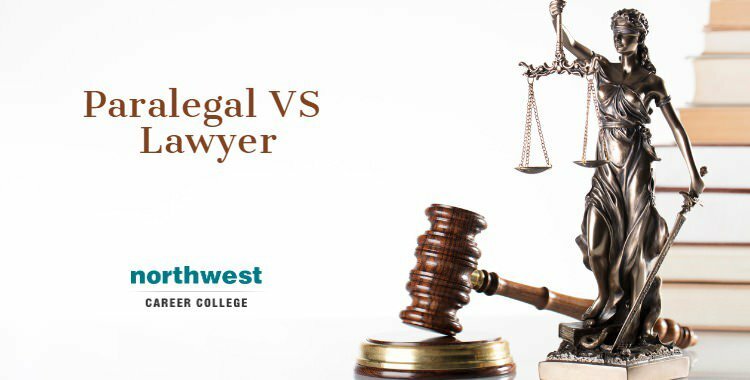 Here at Northwest Career College, we run the top paralegal programs in Nevada, offering our students the skills and experience they need to successfully enter the field of paralegal work and position themselves to maximize their earnings. Our Paralegal instructors are seasoned attorneys and highly trained professionals who are able not only to teach you the law but also to guide you through the many ways a paralegal integrates into a Las Vegas law practice. Previous Blog: 5 Must-Read Blogs For Dental AssistantsNext Blog: What Are The Best Blogs To Follow For Pharmacy Technician Students?